Mary Sutherland is desperate to know the Location of Mr. Hosmer Angel, her fiancee who mysteriously disappeared on the day of their wedding. She has come to Sherlock Holmes, against the wishes of her step father, Mr.Windibank, who thinks the whole thing is unsolvable. 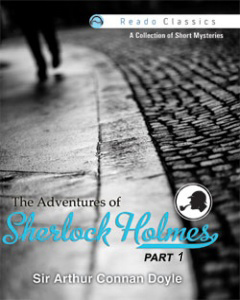 While Watson finds himself lost, not knowing where to start, Holmes has already cracked the case.